Not a Scratch On It! 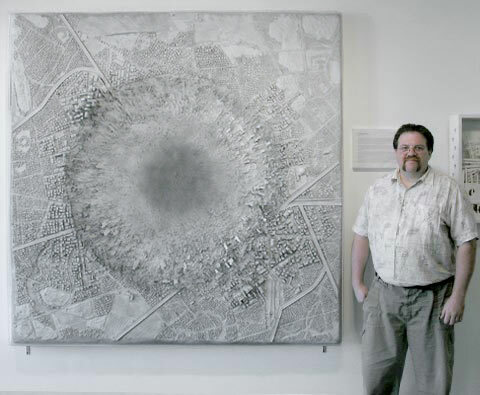 On display: one piece "The Imminent Thunder"
Born in Columbus, Ohio in 1961, I earned a F.A. from The Ohio State University in 1991. In the past, most of my work's subject matter was derived from my interest in ancient history as it relates to current events. Other pieces focused on my perspective on life's adversities. I looked at my work as a "surreal snapshot" of the events and attitudes one encounters in day to day life and the impact they can have on a person's demeanor. One blink, one turn in a different direction, or one moment of hesitation can change a life. Political and social turmoil or devastating news from a doctor or loved one can forever change every footstep you take. I paint only through memory and imagination, there are no preliminary sketches or rough drafts. I use color and shapes as a transition device to move the eye throughout the composition and create stability in an otherwise chaotic piece. If you would like more information, please send me an e-mail using the form to the right or by clicking here. Also, keep up-to-date by checking out my FaceBook page. 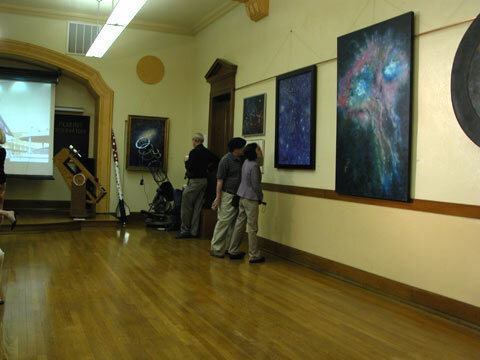 The View from Dione was my first curated exhibition and it was a collaboration between the OAL and Perkins Observatory. It Featured 15 artist from the OAL and 7 astronomy photographers from the Columbus Astronomy Society. It was a two part exhibition with the first show on May 1st at OAL Gallery and the second show was at Perkins Observatory on May 13th. Each exhibition featured separate pieces from OAL Artist and CAS Photographers. Some of the participating OAL artist include Betty Colling, Anne Holman, Tom Baillieul, John Beaver, Bill Hemming and myself. Some of the participating CAS Photographers include Bill Krammer, Tom Klausing, Isaac Cruz and Kathy Shaw with special thanks to Tom Burns, the Director or Perkins Observatory for allowing us to have the show at the observatory.